For businesses, a differentiating factor over the competition is in the quality of customer services provided. Many aspects can contribute to your customers experiencing great customer services. One of which is the level of external communications. Get it right and this will create an everlasting impression of the business’s quality, leading to positive recommendations. Get it wrong and the business’s reputation take a hit! What’s needed is to give the customer-facing teams the tools required for managing customer relationships. This is where a CRM like Microsoft Dynamics comes in handy. It’s a fantastic place to centralize customer data. This can and should include communication activity as well. 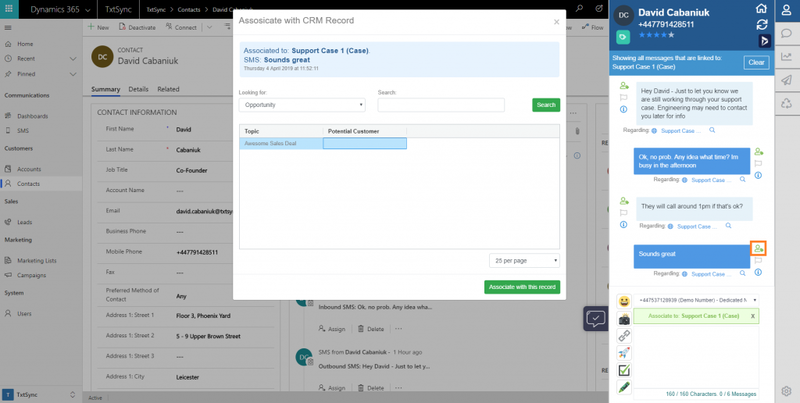 Add-ons are available to integrate communication channels into the CRM. This could be social media, telephony or SMS. The communication data will then create a historical representation of everything that occurred regarding an event. Ever experienced the problem of incomplete data within the CRM? The usual problem being the member of staff is too busy with their actual job to input and manage data. Take for example a customer service team. We’ve already established that its imperative for a business’s reputation to deliver quality communications. That means the teams focus needs to be on getting the tone, messaging and frequency spot on in external communications and not being bogged down in CRM data management. Focus on great usability. If a user enjoys using a product they are less likely to take short cuts. Focus on keeping the chores on managing data to a minimum or hidden. This is where TxtSync’s Integration into Dynamics can help out with SMS communications. Just like with phone calls, when sending an SMS you’re talking about “something”. That means data management is required to inform the CRM of what the SMS is relating to. TxtSync helps keep this data management to a minimal, allowing staff to focus on the important bit, the quality external communications! How can TxtSync Keep SMS Data Management to a Minimal? Our AI automatically sets the regarding field by interrogating each sent and received message to determine which conversation the SMS belongs to. Automatically setting the regarding based on the current SMS conversation. Providing an interface that makes manual intervention quick and easy. 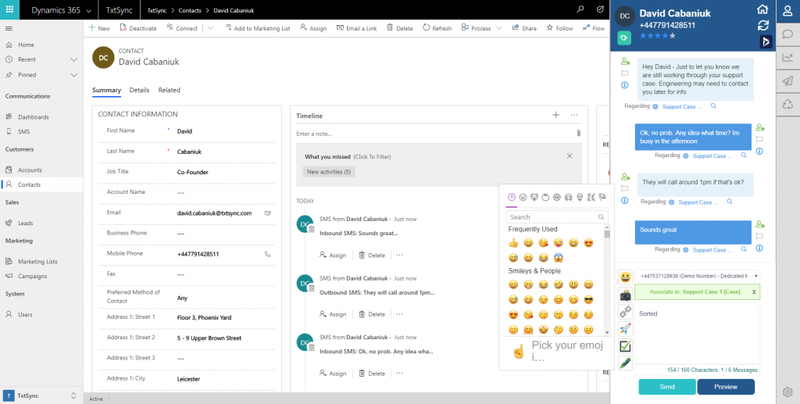 Saving SMS data into Dynamics in a way that leverages the CRM’s data management capabilities. Let’s start with how the TxtSync SMS integration looks inside Dynamics and then break down some of the features. TxtSync automatically saves SMS into Dynamics as activities against the relevant account, contact, lead or user. This builds up a timeline of communications. 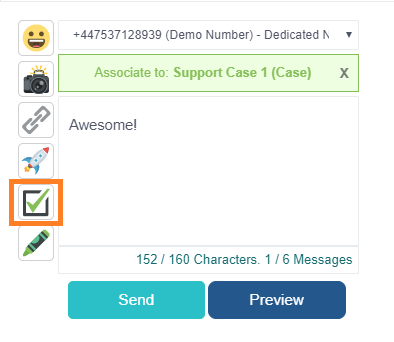 The regarding field can be used to give SMS’s further context by linking to a related record such as a case, opportunity or even custom entity. These captured communications give an instant historic representation of what was said and when! TxtSync allows instant navigation to the CRM records the SMS is related to. 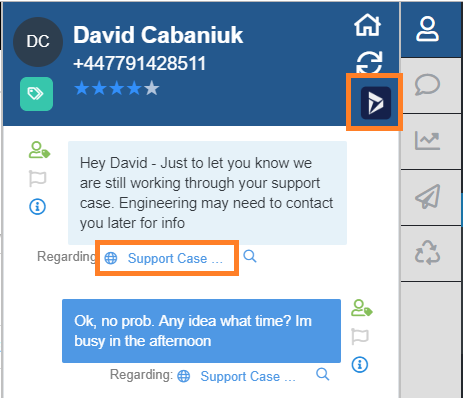 When navigating the chat panel will stay open, keeping the focus on the conversation while the related information is displayed. This saves time over manually navigating around CRM trying to find the related information. In the Screenshot, clicking the Dynamics icon will navigate to the account, contact, lead or user. Clicking the regarding link will navigate to the regarding record. Businesses will communicate with customers about multiple topics. This can lead to the SMS chat window becoming clustered. To save time and improve on focus, TxtSync allows you to “jump” into a conversation by filtering on the regarding record. At this point, when filtering any outbound SMS sent instantly become related to the filtered record. 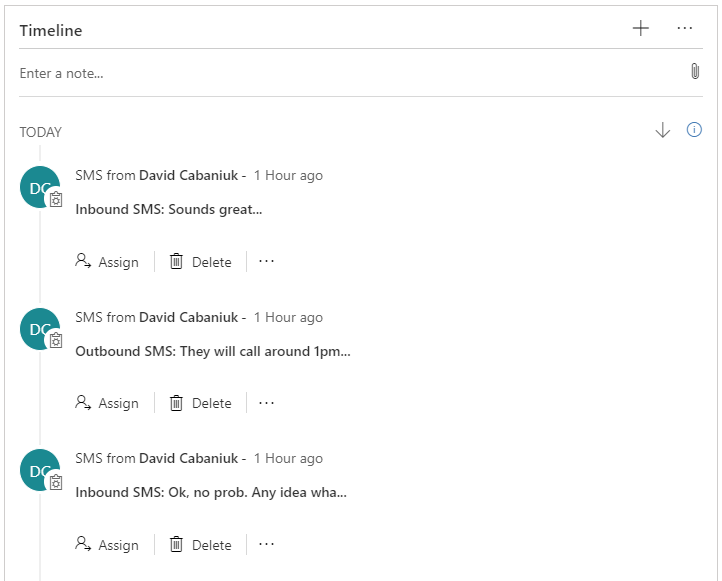 Inbound SMS are automatically related to what the last outbound SMS was regarding. The destination number is also taken into account as there could be different business departments communicating to the same customer through different numbers. If the automatic routing of the inbound SMS gets the regarding record wrong there’s the option to easily reassign the SMS to the correct record. TxtSync provides the ability to search through the CRM using the Dynamics lookup view. It takes into account custom entities and view configurations. While quickly reassigning the SMS record the CRM form does not refresh keeping the user focused on what they were viewing. Before sending out an SMS, TxtSync allows the regarding record to be assigned. The same lookup view is used as before in Reassigning Regarding Records. This allows the current viewing context to stay intact while linking to the right record. To speed things up TxtSync automatically sets the regarding record to be the same as the last SMS. The features mentioned in this blog make it less of a chore for your CRM users to communicate by SMS within Dynamics. TxtSync attempts to keep data management at a minimal level allowing users to focus on delivering great communications to customers. Less time fighting with the CRM equals more time doing productive work! This can only be a good thing for any business. 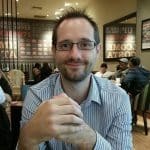 Click below if you’re interested in finding out more about what the TxtSync SMS integration into Dynamics could do for you.